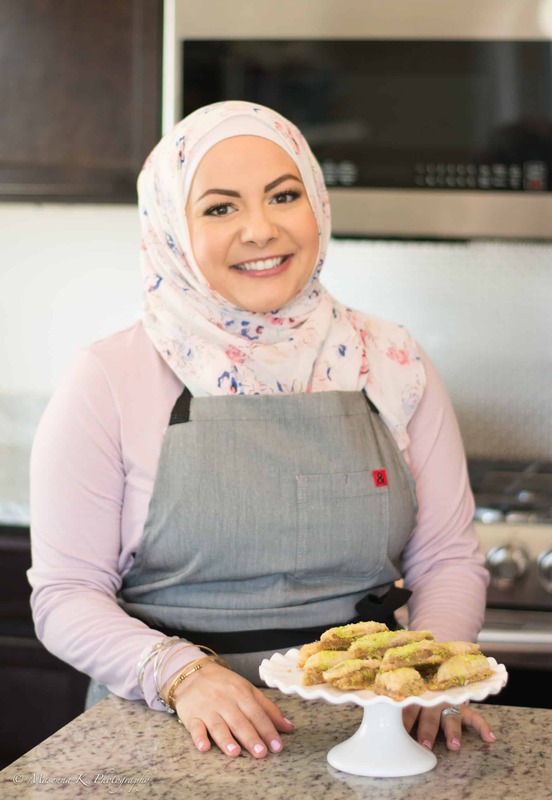 My first attempt at Rice Pudding- Ruz ib Haleeb Recipe was a complete success and I am so happy to bring it to you today! My mom did let me know that I did love this sweet decadent treat very much as a child. As an adult, I swore it off because of the appearance and texture. What was so exciting about a white pudding? 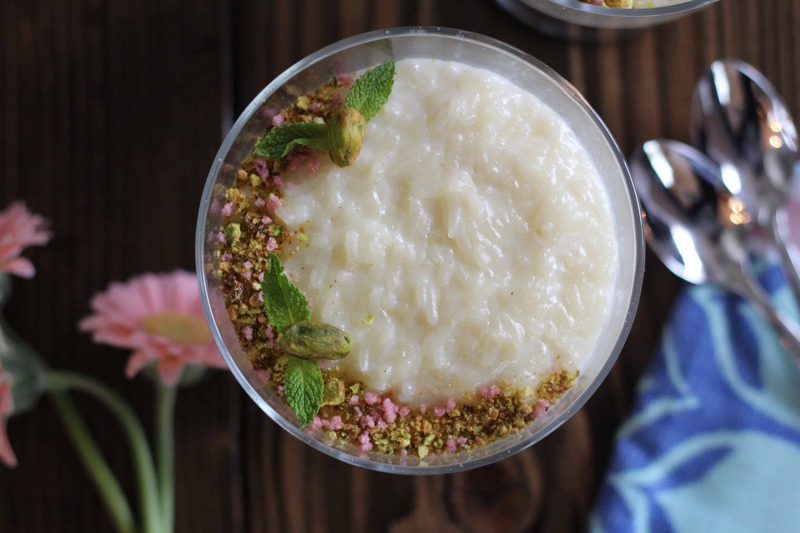 My husband, Hussein, on the other hand, absolutely loves rice pudding and has asked that I make it for him. It was good timing on his part, as I just began a new partnership with Royal Foods- Basmati Rice. I knew I wanted to make a sweet dish with the rice, to show its great versatility. 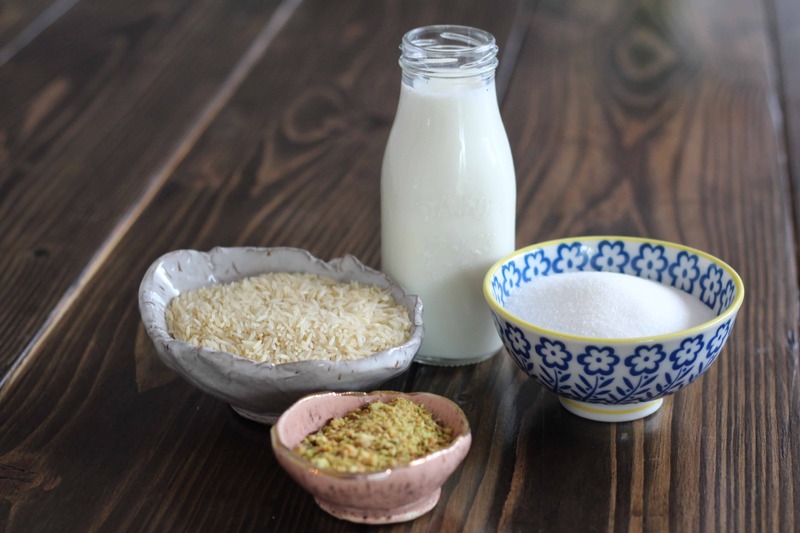 I had never made ruz ib haleeb (Arabic for rice in milk) and consulted my mom and grandma. 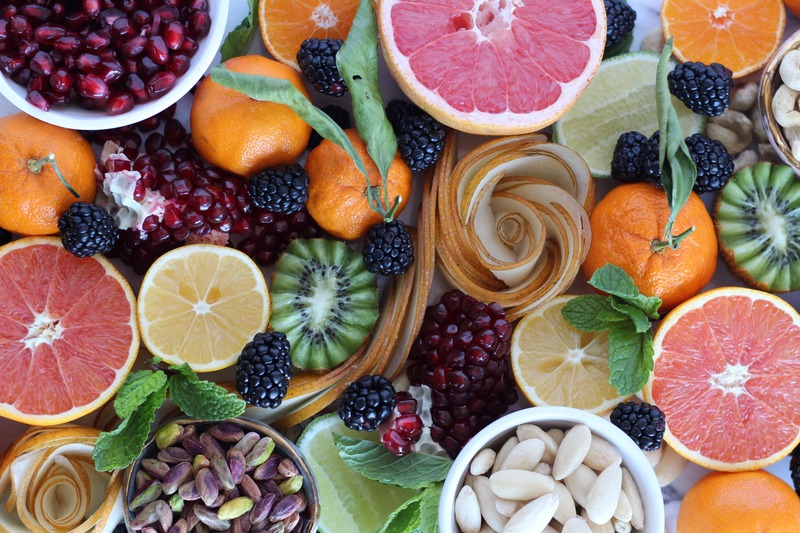 I learned that this dish can be made with 2% or whole milk, can be flavored with cardamom, cinnamon, rose water, orange blossom water and can be topped with an assortment of nuts, dried fruit and coconut. This is a dish you can truly make your own! 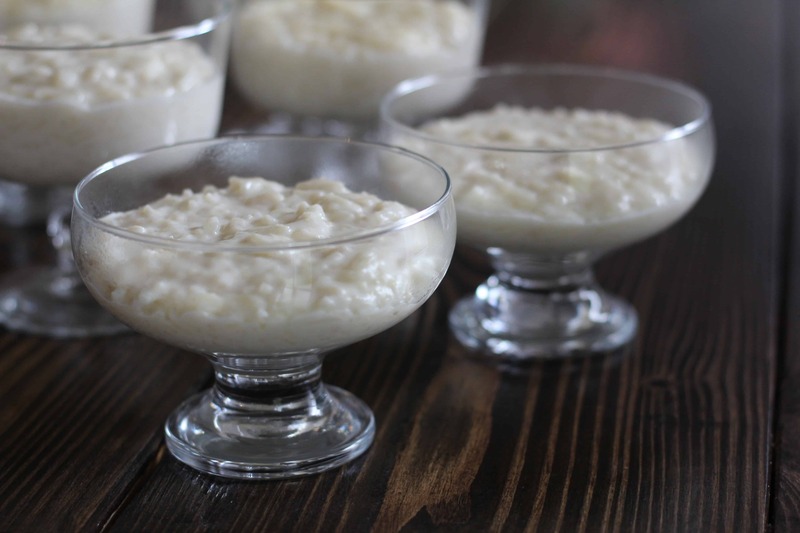 I put my spin on my rice pudding by adding vanilla extract to one batch! *This recipe also doubles very nice! Please note that you may need to add more corn starch to thicken, depending on the rice you are using. 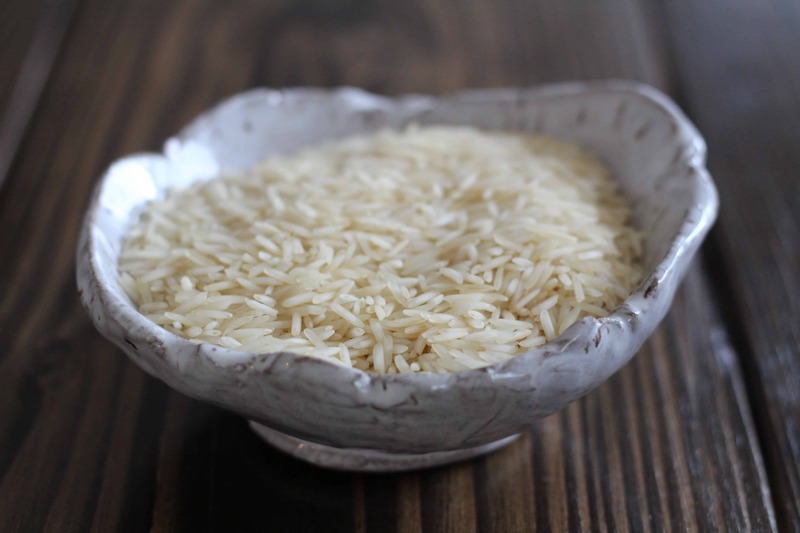 Rice has naturally occurring starch, so I do not recommend soaking your rice. Rinse rice under cold water. Add rice and 9½ cups milk to a large pot. Bring milk and rice to a boil and then reduce heat. Stir the mixture constantly for about 20- 25 minutes, until the rice is cooked thru and the milk begins to thicken. Add the sugar, cinnamon, rose water and vanilla and stir well. Dissolve the corn starch in the remaining ½ cup of milk. Add the corn starch and remaining milk to the pot and simmer on low for 5 additional minutes. Pour the mixture in containers and allow to cool. Top with toppings of your choosing. If your mixture does not thicken after adding 1 tablespoon cornstarch, you may wish to add another one. When the pudding cools, it will thicken some more. This recipe makes eight, 8oz servings.